Reno Dental Office & In-House Lab | Andresen DDS, FACP. Drs. Craig and Allison Andresen are dental specialists serving Reno, Sparks & Northern Nevada. For more information, call 775-323-3574. 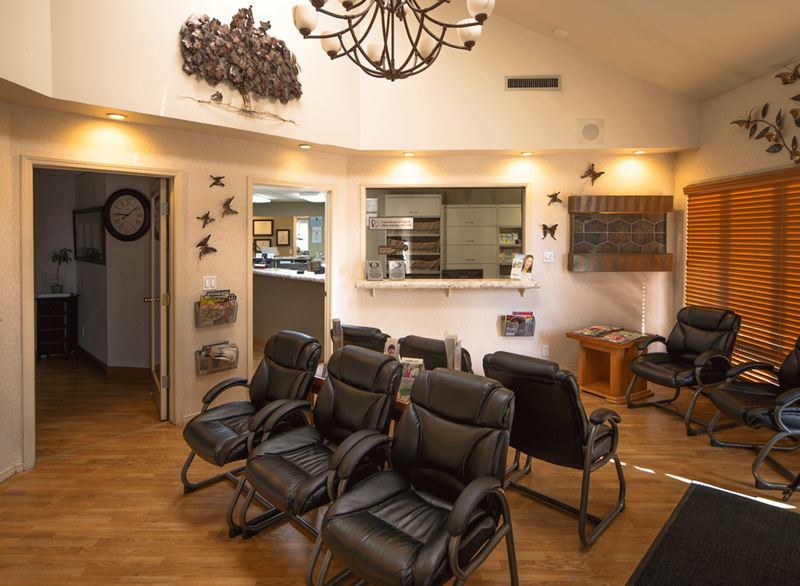 Our dental office and in-house lab serves Reno, Sparks, and the northern Nevada community. At our office, your comfort and convenience is our priority. Our staff is dedicated to ensuring you have a great experience from the moment you check in at the front desk through the end of your dental treatment. Conveniently located in Reno, our office and in-house lab serve Reno, Sparks and the northern Nevada community. Our doctors fabricate your full and partial dentures (also known as false teeth) and perform same-day repairs and relines in-house. Many other lab procedures are also performed in-house and in collaboration with other laboratory technologists to ensure quality control and beautiful, customized restorations for each of our northern Nevada patients.